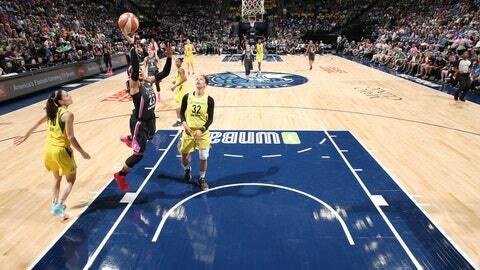 Take a look at highlights from the Minnesota Lynx’s 81-72 loss to the Seattle Storm.
.@SeimoneAugustus gets things started for the @minnesotalynx!